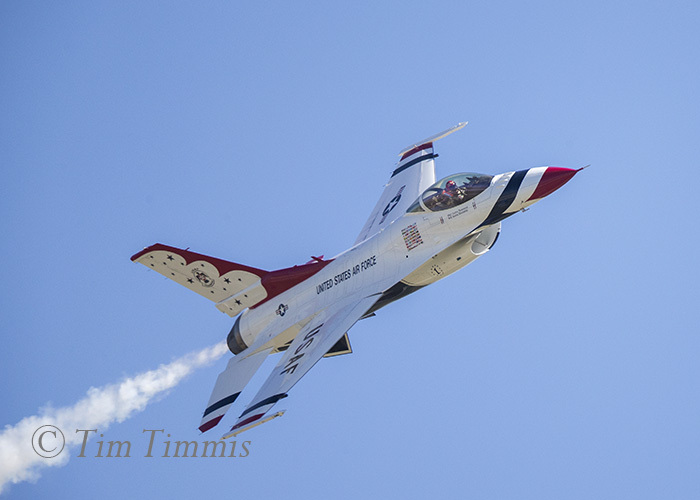 Friday at Wings Over Houston is a two-hour show for special needs kids and the opportunity for the pilots to practice for the main shows on Sat/Sun. It’s not open to the general public so I found a spot along Hwy 3 at the end of the runway to get some close-up photos. 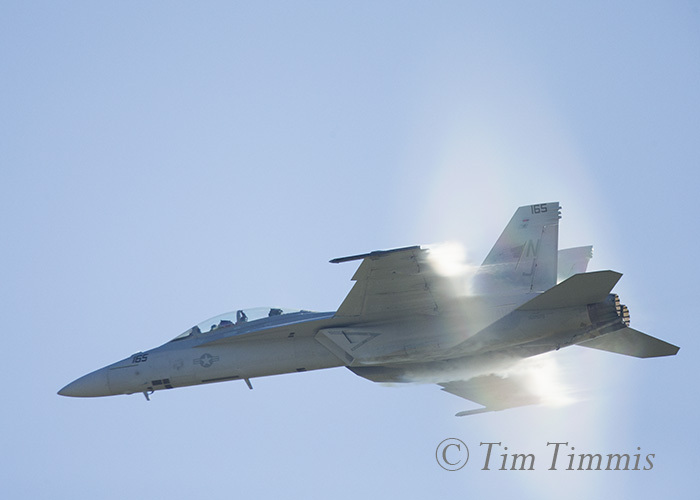 This was the first time in a few years that the F-18 was back at WOH and it’s always my goal to get a photo of the vapor cloud when they approach the speed of sound, around 600 mph. A cold front coming through this weekend reduced the humidity in the air so Friday was going to be the best chance to get that shot. 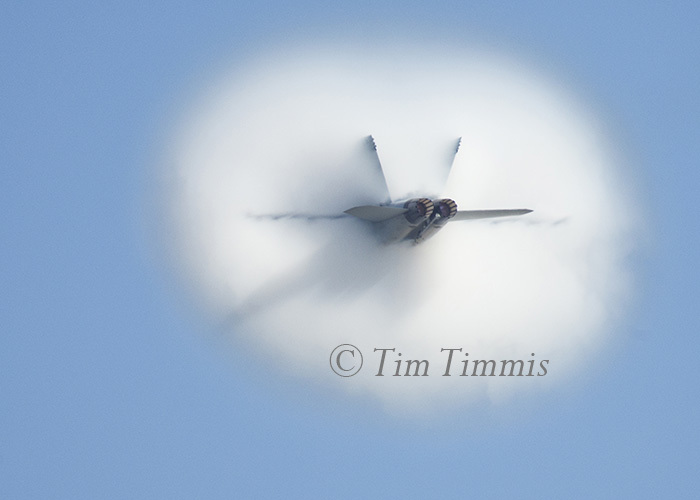 Caught him starting to form the vapor cloud as he flew over me and it fully formed as he got over the runway. A head-on shot would have been better but I’ll take it. They have one original Japanese Zero flying at the show, with the rest being replicas from the movie Tora Tora Tora. Being at the end of the runway allows for this shot as he banks around back toward the field. Converted this one to B&W as the colors were muted anyway. Used shutter priority to slow down the shutter speed to get the prop to blur. The Zero prop’s spin faster than the P51 Mustangs so I usually use 1/320 for the Zero’s and 1/250 for the rest of the prop planes. 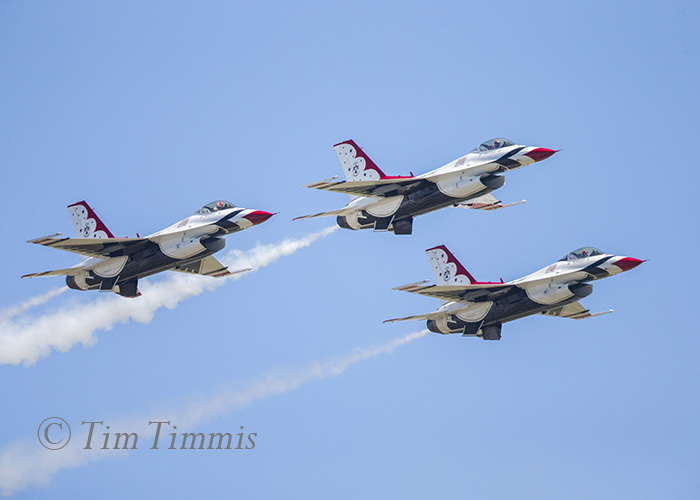 Only 3 of the Thunderbirds flew at the show around noon, which was a surprise. Minimal cropping on the first two shots with none on the last one. 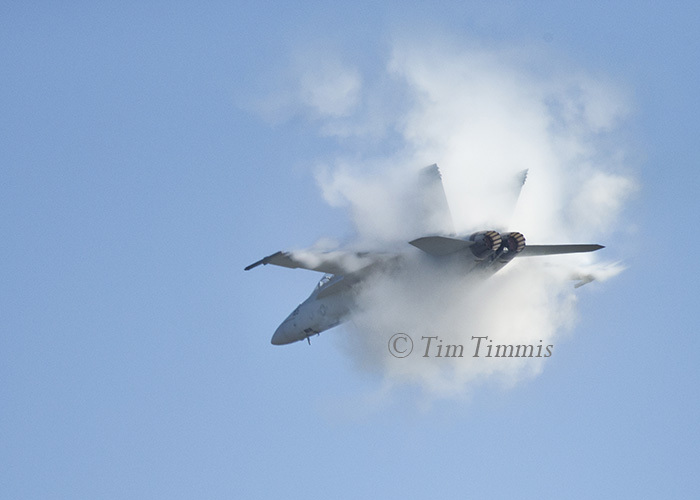 This entry was posted on October 16, 2015 by Tim Timmis. It was filed under Airshow and was tagged with Airshow, FA-18, Japanese Zero, Thunderbirds, USAF Thunderbirds, Wings Over Houston. I haven’t been to the air show in years…………..I forgot it was this past weekend. Oh well, maybe next year……..:) Great images Tim!! 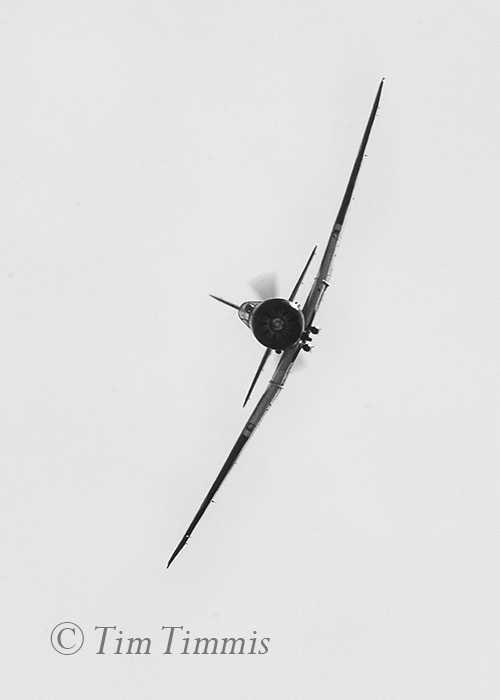 Did you shoot with the 500mm at the weekend shows or use the 100-400? Thanks Sheldon. I should have reminded you. Next year for sure. 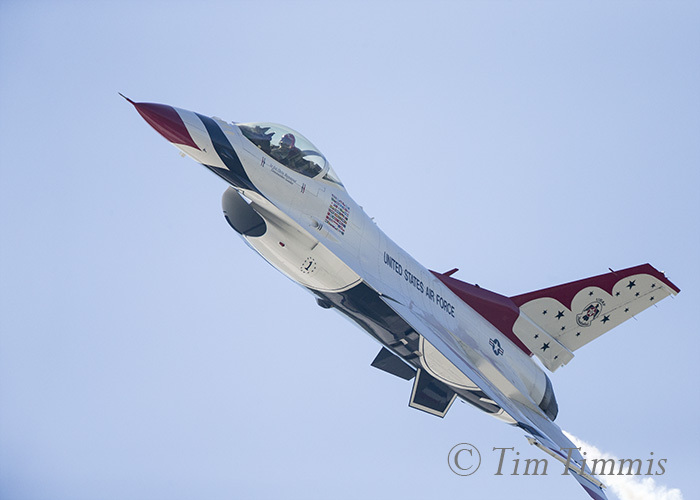 I used my 500mm lens on Friday and Sunday at both ends of the runway and my 100-400 inside the show on Sat.